It's nice and warm where I am (come on down!) but dry air, frigid weather and the inevitable chapped lips are still plaguing much of the country. I've got a quick and easy post on the May Arts blog for keeping your chapstick close at hand. These would be great for the kids backpacks as well. Thanks for popping and be sure to head over the MA blog for more pictures and a link to the tutorial. May Arts/Stampendous Blog Week and 3 big Giveaways! May Arts has joined forces with Stampendous to bring you a full week of fun and inspirational projects as well as a chance to be one of 3 winners of 1 spool of May Arts ribbon of your choice and a jumbo cling set and handle from Stampendous. All you have to do to have a chance to win is leave some comment love on the designer's blogs...how easy is that? Here's the May Arts line up for the week so you can pop back in here and jump to the blogs easily and don't forget to go to the Stampendous blog for even more chances to win! Have fun and I'll see you on Friday! See you there for the transformation. Leave a comment on the PCL blog and you could win 2 full rolls of May Arts Ribbon! Ah, romance...come see how we celebrate it with burlap and May Arts ribbon. Yes, there's a tutorial plus links to the tutorial for the handmade paper tag and that gorgeous silk rose in case you missed them. May Arts Ribbon New Release Week Day 3 Giveaway! 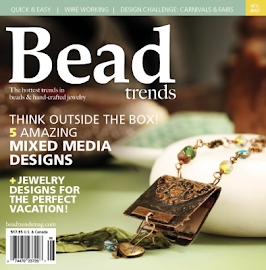 It’s New Release Week on the May Arts Ribbon Blog! 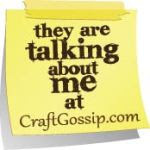 That means all week long we are inspiring you to create with our awesome new ribbons. That also means you have two chances to win some of your own! Our first giveaway is our Spring Release Giveaway, showing you all our upcoming releases. And for another chance to win, you just have to comment on any post this week! It's my turn to showcase some of the new May Arts Ribbons. Head over to the blog to see what I've done with some of the new glittery, sparkly, and elegant ribbons! Thanks for stopping in here. I'll see you over there! 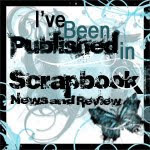 May Arts Ribbon Release Week and Giveaway! 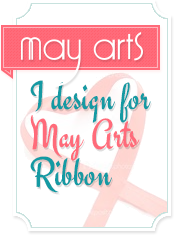 It's the time of year when May Arts Ribbon begins the release of all the fabulous new ribbons for the year. It's a jam packed week of gorgeous ribbons and projects sure to inspire you to use them in your crafting, sewing, scrapbooking and mixed media projects. Here's a peek at some of the new ribbons and the giveaway announcement and here's a project using some of the new ADHESIVE ribbons by Ribbonista Jenifer Cowles. Gini Williams Cagle used the new Burlap and lace...sigh...love that ribbon! 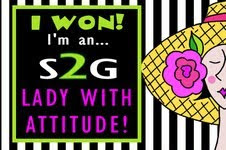 Be sure to leave lots of comments for your chance to win some of these awesome new ribbons of your own! Thanks for joining us for this fun and inspiring week!